Think of a group of enormously wealthy philanthropists that has unlocked the doors to quantum computing and nano-technology, a group that has at its disposal brilliant minds, both human and nearly artificial, and superbly trained Operators. Think of an absolutely hidden organization created by this group and structured to employ these tools to level the playing field against self-serving ideologies of powerful people, at all levels, on all sides, that threaten the common good. Think of an organization that never fights fair against the dark forces in the world and does so without leaving a trace. Now – you are thinking of THE GRID. In this first novel, the Grid, through its pervasive information gathering apparatus, learns of a clandestine meeting between a rogue officer of Pakistani Intelligence and a suspected member of a radical terrorist group. The Grid fears the terrorist group is seeking to obtain an atomic weapon from the Pakistani arsenal. It dispatches one of its senior Operators to investigate. 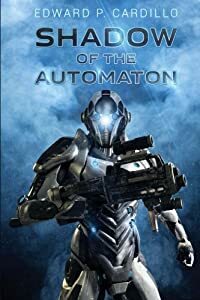 Armed with his wits, superbly honed close-quarters fighting skills, and supported by an armory of futuristic Grid Devices, to include a 5th generation quantum computer – a nearly artificially intelligent Machine mind – the Grid’s Operator tracks his quarry from East to West. There, he confronts head-on the history-changing aspirations of the terrorist leader and his comrade-in-arms, one of the kingpins of the underworld drug trade. In these endeavors, against great odds, the Operator must take the gloves off and employ what the Grid refers to as ‘Roman Rules’, utilizing the full scope of its nearly magical, technological capabilities – without leaving a trace. 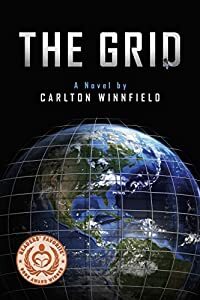 THE GRID is an international thriller set against the threats and dark intrigues of our time. Kade Sims was a successful army intelligence officer until his hypomania disorder and impulsive behavior resulted in his discharge. Forced to adapt to a sedate civilian existence, he’d all but given up on a life of service. That is, until opportunity—and an FBI agent—knocks on his door. The FBI believes Kade’s unique talents make him their best candidate to infiltrate AgriteX, an agricultural biotech company suspected of involvement in organized crime. Kade jumps at the chance to redeem himself and serve his country again. But he soon learns that AgriteX is invested in far more threatening pursuits—the company is secretly funding The Chapter, a high-tech militia plotting a savage attack on the United States. Can Kade stop The Chapter before it’s too late? And now that he’s on the inside, will he ever escape their shadowy network? 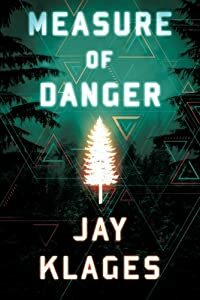 Revised edition: This edition of Measure of Danger includes editorial revisions. Clark Hayden is a graduate student trying to help his mother navigate through the loss of his father while she continues to live in their house near Washington DC. With his mother's diminishing mental capacity becoming the norm, Clark expects a certain amount of craziness as he heads home for the holidays. What he couldn't possibly anticipate, though, is that he would find himself catapulted into the middle of the terrorist operation. As the holiday festivities reach a crescendo, a terrorist cell - which happens to be across the street - is activated. Suddenly Clark is discovering things he never knew about deadly chemicals, secret government operations, suspiciously missing neighbors, and the intentions of a gorgeous IRS auditor. Clark's quiet suburban neighborhood is about to become one of the most deadly places on the planet, and it's up to Clark to prevent the loss of hundreds of thousands of innocent lives in the nation's capital. From the award winning playwright comes the intelligent, fast-paced thriller that started it all! What begins as a normal day for Mark O'Connor and Lisa Woodward ends with the unthinkable. Their loved ones brutally murdered, the two survivors are left desperately searching for answers while locked in a life or death struggle of their own. Finalist in 2013 Foreword Book Award for best thriller/suspense and Silver Medal Winner of the 2013 Readers' Favorite International Book Award. Imagine a couple young hacktivists, both former members of the internet freedom fighters group Anonymous, and one of them an ex-black ops officer, breaking away and creating a militant group of anarchists committed to social change. But social change precipitated by acts of violence against CEOs of major corporations responsible for crimes against humanity. 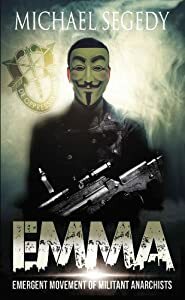 Their group, Emergent Movement of Militant Anarchists, or EMMA, believes the power elite will never listen to hollow threats or become intimidated by pranksters like Anonymous. They will listen only when they are forced to live in a state of terror. 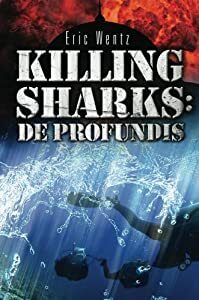 That’s the mere skeleton of the plot, but what follows, the twists and turns, the surprises, the action and suspense, and the masterful way the author delves into the lives of the principal characters, adds the beef. A black ops officer turned terrorist is not the story of a renegade NCS commando gone bonkers. Rather the novel tells of a young man, Brent Cossack, accepted into Georgetown University, who decides to forgo college and join the military. As a CIA operative in Iraq, he discovers an ugly truth, and resigns. He returns home and falls in love with a beautiful political activist. Everything seems just swell, until a terrible event in his life pushes him over the edge. FBI agent Rick Clark finds himself in the middle of an investigation that forces him to relive the saddest time in his life. Since his divorce, he has lived alone, avoiding relationships, except those established at work out of necessity, and one established at home, out of choice, with his commiserating dog, Thomas. Marty Robins, a psychologist involved in the investigation, helps resuscitate life into Rick, but his real savior comes later in the form of an unexpected hero that restores hope and meaning in his fragmented life. 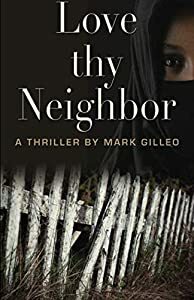 In the aftermath of the September 11, 2001 attacks on the United States, Joe Legion fights to protect his U.S. family and European relatives from a yet unknown enemy and from former friends who appear to have changed allegiances. Joe sharpens the fighting and survival skills he learned in the Army years earlier when he replaced his brother, who was presumed lost during a special operations mission. As an International Responder and Consultant on earthquake relief and other missions in India and Peru before 9/11, Joe encounters individuals and small networks engaged in illegal trafficking in drugs, weapons, nuclear materials, and other contraband. 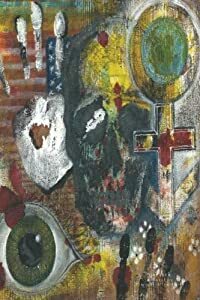 Convinced of their links to larger terrorist groups after the 9/11 attacks, Joe demands authorization from MAGENTA and PURPLE, his former contacts in the Pentagon, to disrupt and destroy these small, illegal operations while the U.S. military, FBI, and CIA pursue higher value targets. Joe enlists the aid of friends and family members he had previously organized to hunt for the legendary treasure of Juraj Janosik, the early 18th century Robin Hood and national hero of Slovakia. Joe's "recruits" willingly accompany him to confront dangerous adversaries under dangerous conditions in dangerous places including India, South and Central America, Europe, Russia, North Africa, and Joe's back yard. 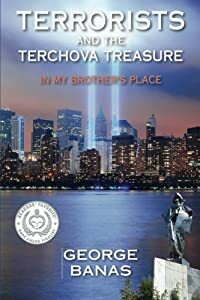 In solemn tribute to the known and unnamed defenders of the United States from its origin to the present day, the author deftly interweaves the horror of 9/11 with his personal experiences and actual historical events, causes, and consequences that have sometimes shaken our nation, but never defeated it. Under the tranquil setting of Yellowstone National Park lies a killer, the world's largest super volcano. Yellowstone erupts roughly every 600,000 years. It's next eruption is overdue, and any present explosion would destroy America and quite possibly all of civilization. Yellowstone, or Colter's Hell, as it's historically known, is experiencing unprecedented volcanic activity, possibly signaling a pending eruption. 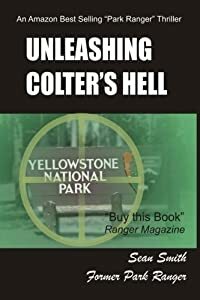 In Unleashing Colter's Hell, a religious fanatic sent to the Wyoming wilderness has acquired an atomic bomb to trigger an eruption and spell the end of the United States. A lone park ranger named Grayson Cole is James Bond, Indiana Jones, and Robert Langdon rolled into one. Along with Diane Harris, a rookie FBI agent, the two are all that stand between the world and its destruction. Unleashing Colter's Hell is a fast paced, action packed adventure. It's a sweeping story spanning the world from North Korea, thru South America, to Yellowstone the world's first national park. Colter's Hell draws upon modern science, relevant history, present technology, and current events to give the story its terrifying realism. 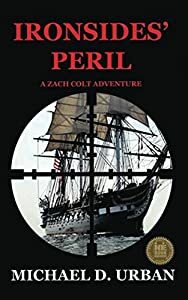 IRONSIDES' PERIL is the new Zach Colt thriller from award-winning author Michael D. Urban. The War of 1812 is long over. The War of 2012 has just begun. July 4, 2012. The City of Boston is under attack. A trail of burning ships and downed jet aircraft litters the harbor. A ruthless band of Iranian backed terrorists has hijacked U.S.S. Constitution. A former president of the United States, the current vice president, and the secretary of the Navy are onboard together with the ship's crew and other hostage. Unfortunately for the terrorists, so is Zach Colt. And he's spoiling for a fight. Now it's time to take "Old Ironsides" back. Before she is destroyed and the terrorists' final, devastating revenge is enacted on the City of Boston. The question is ... How do you recapture an 18th-Century warship - and sacred American icon -- using 21st-Century weapons and tactics?